Yeah. Thats what I thought. I swear names of elements only differ between companies. Such as, for sitting coasters, B&M would call a Corkscrew a 'Flat Spin' whereas Intamin would call it a 'Screw.' However, Britain has the same generic element names as the USA as far as I know. We say Corkscrew, Immelmann and Cobra Roll as much as Americans do. I have nothing intersting to say here. Have a nice day! ^There is a difference between a flat-spin and a corkscrew. While corkscrews seem to flow consistently through the inversions, flat-spins have a sort of 'snap' at the top, where the train is whipped over that point of the inversion. After looking at the planning application, it can be seen that the ride will be 22.8m or about 74 feet tall, steel with a lift hill and themed to a castle or maybe even the towers themselves. There is a section below ground level but whether that means a tunnel or just a cutting isn't clear at the moment. ^ World's first coaster themed to coffee mug stains on blueprints? 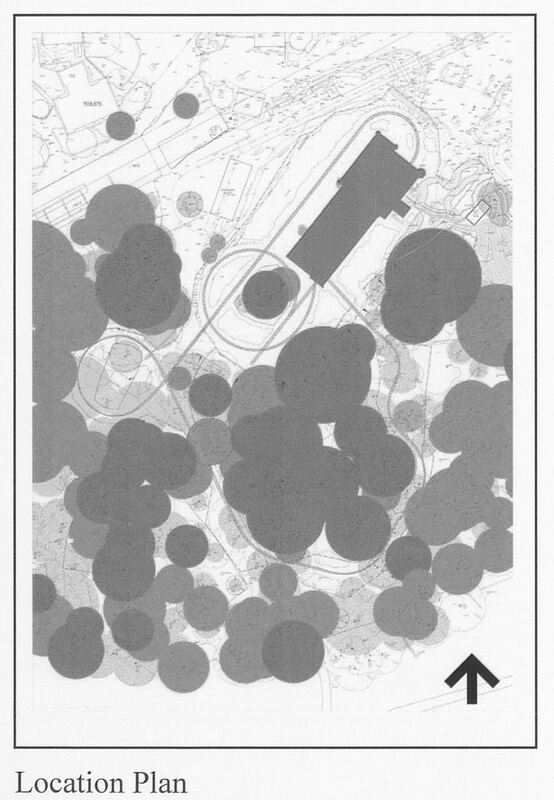 ^According to the survey's Alton Towers sent out regarding the new addition, the coaster is themed to some sort of high speed chase through the woods. Exactly who or what was chasing you was interchangable in the survey (I believe it came down to bikers or robots). Now I'm confused. The station building and the entrance look like a delapidated castle or possibly ruins of the towers. Would that fit with either theme?? ^I'm only repeating what information was provided in the surveys. One proposed theme had a coaster moving through the forest at high speeds. The question of what would be chasing you was posed in the survey, either themed to a robotic chase or a motorcycle chase. That is what was given, but I'm not saying that this is the theme that will actually be used, just what was proposed in the survey.